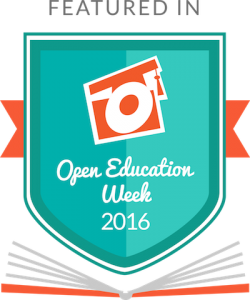 The week of March 7th is Open Education Week, a global event coordinated by the Open Education Consortium to raise awareness around free and open sharing in education. This movement advocates for free and open access for learners and teachers to a variety of resources, including platforms, course and learning materials, and textbooks. Temple University Libraries is joining the conversation around textbook access and affordability by hosting an Open Education Week event titled “Ditch the Textbook: Exploring Options for Textbook Affordability” on Wednesday, March 9 from 12:00 – 1:30 PM in the Paley Library Lecture Hall. The panel will feature students and faculty advocates (listed below) for open educational resources and will be moderated by Annie Johnson, Library Publishing and Scholarly Communications Specialist at Temple Libraries. The event will also provide information about Temple Libraries’ Alternate Textbook Project, which will soon be open to proposals. Eitan Laurence is a Temple University student who is an advocate for Open Educational Resources (OER). He is currently a member of the Provost’s Task Force on Textbook Affordability. Gerard Brown, Associate Professor, Tyler School of Art, is the Chair of the school’s Foundations Department. His senior Visual Studies seminar students are currently engaged in a project looking at the way textbooks affect learning. Wesley Roehl is a Professor in the School of Tourism and Hospitality Management. He is a recent participant in Temple Libraries’ Alternate Textbook Project. Kristine Weatherston is an Assistant Professor in the Department of Media Studies and Production. She is a two-time recipient of the Alternate Textbook Project award. Kristine utilizes web-based and open source textbooks, software, and videos in her scriptwriting, documentary production, and media courses. We invite you to join us! Please contact Annie Johnson (annie.johnson@temple.edu) with questions. This entry was posted in Programs & Events, Top News, Uncategorized and tagged Top News by Rebecca Dashiell. Bookmark the permalink.